Turkish prosecutors demanding life sentences for 16 suspects over 2013 Gezi protests means a new low for Turkey’s already abysmal human-rights record, said Aryeh Neier, president emeritus of the Open Society Foundations and a founder of Human Rights Watch, in an article in Project Syndicate. An Istanbul criminal court last week accepted the prosecutors’ 657-page indictment accusing 16 suspects - actors, lawyers, activists and journalists - of planning and orchestrating the Gezi protests, the biggest demonstrations against President Recep Tayyip Erdoğan since he came to power in 2003. All members of the 2013 cabinet are among the plaintiffs, along with additional 746 people from across the country who mostly claim their property was damaged as a result of the protests. The prosecutors accuse the suspects of attempting to overthrow the government by acting as extensions of the foreign powers and point to American-Hungarian financier George Soros as the mastermind behind the plot. Turkish businessman and philanthropist Osman Kavala, who has been dubbed by pro-government media as “Turkey’s Soros”, is accused of being the leader of the organisation which according to the prosecutors orchestrated the Gezi protests. Neier said he had known Kavala personally and described him as a mild-mannered man whose philanthropy had focused on minority rights and cultural issues. Kavala, who was arrested in 2017, shared on Friday a statement marking his 500th day in prison. “I firmly believe that all charges brought in this indictment shall eventually result in our acquittal. Yet I have been kept detained for 16 months waiting for this indictment to be prepared,” he said. “I would like to remind those who truly believe the Gezi events to be a foreign-financed attempt to topple the government: mass protests with rightful and legitimate claims may emerge and have done so all over the world against authoritarian regimes as well as democracies,” Kavala said. 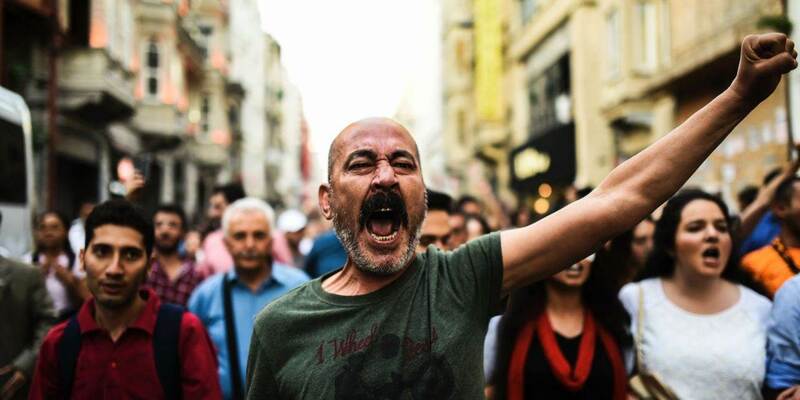 Yiğit Aksakoğlu, a Turkish civil society activist, has also been kept behind bars for three months as one of the suspects. Condemning other governments' human-rights violations does not absolve Turkish President Recep Tayyip Erdoğan of the gross abuses his own government continues to commit. On the contrary, the current effort to put 16 civil society activists in prison for life places Erdoğan firmly within the ranks of the leaders he decries.